This idea is great for independent practice or for work as a group. Start by chosing a well-known character. 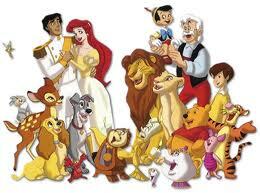 Cartoon characters are ideal. Then, without using that character's name, describe that character in the best detail possible. If working in a group, make sure that each person chooses a different character (I suggest handing out cards with character names on them) so that participants can then go on to read their descriptions aloud. Although some descriptions might obviously portray a certain character, it will help for each member to see how easily others can figure out the character, so that they know how well they are using descriptive writing. I suggest this creative writing activity because not only is it a good way to practice, it is a fun activity that can be turned into a game. Cartoons are the to start with adore of the child when it arrives to amusement as lots of the tots are amazed by using these colorful figures and the animations. We all realize that the better education individuals have the better future they will have. In life, individuals are tossed numerous snags that they need to overcome all alone. I additionally perceived essay writing service online that the harder individuals work, the further they will achieve, and as individuals perform their objectives, that will lead into an effective future.